For today’s brewery we have choosen Lymestone. 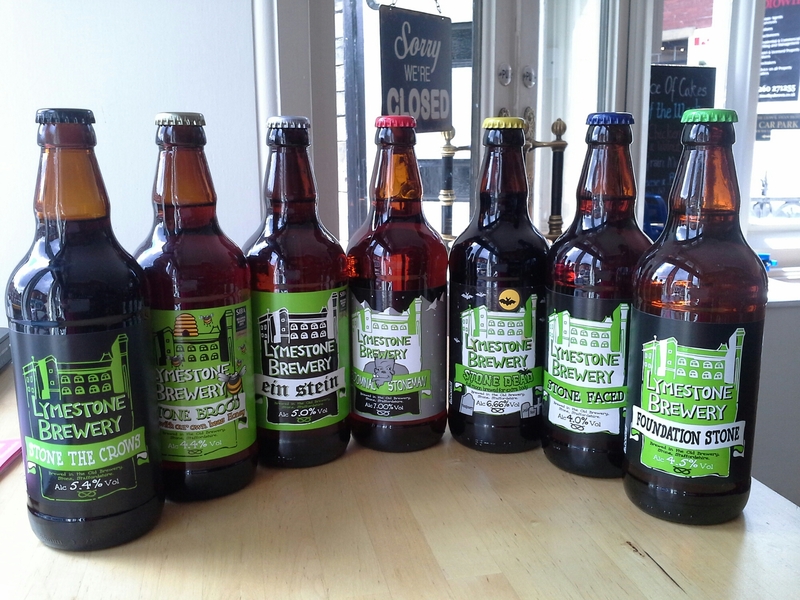 The brewery is based in Stone, Staffordshire, not too far from Congleton the brewer Brad & his wife Viv have converted an old building into what they have today, for more details on their brewery, check out the website. We are currently holding in the beer café seven of their ales. ¤ Foundation Stone – 4.5% – Golden Pale Ale with a dry bitter finish. We love them all and regulary have them on draught, but if we had to pick our favourite, Paul’s is “Stone the Crows” and me, well, I’ve got two.. “Foundation Stone” and “Stone Faced”.